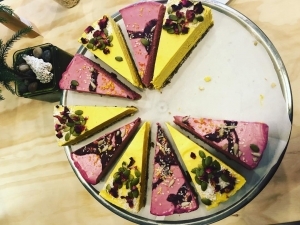 The Green Moustache is a health-focused cafe that offers fresh pressed juices, smoothies, desserts and an assortment of healthy breakfast and lunch options. 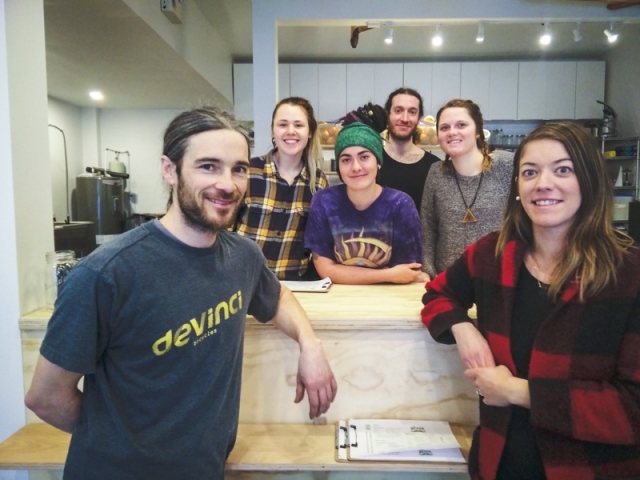 On Jan. 25, The Green Moustache quietly opened its doors on their new Revelstoke location. While the cafe’s grand opening is a few days off, last week’s soft opening is being used as an opportunity to perfect training and customers are warmly welcomed. The cafe is co-owned by Karine and Edward Wright who believe the wholesome vegan offerings work well with the healthy lifestyle of many Revelstokians. Relocating from Whistler just over a year ago, the couple sought a town that offered the outdoor pursuits they enjoy, along with a strong sense of community. “We had been to Revelstoke before and we have friends who live here. Revelstoke felt like it could be home,” Karine Wright explains. As for the cafe, The Green Moustache originates from Whistler and is a health-focused cafe that offers fresh pressed juices, smoothies, desserts and an assortment of healthy breakfast and lunch options. With franchise opportunities, there are additional locations in Vancouver and Squamish. 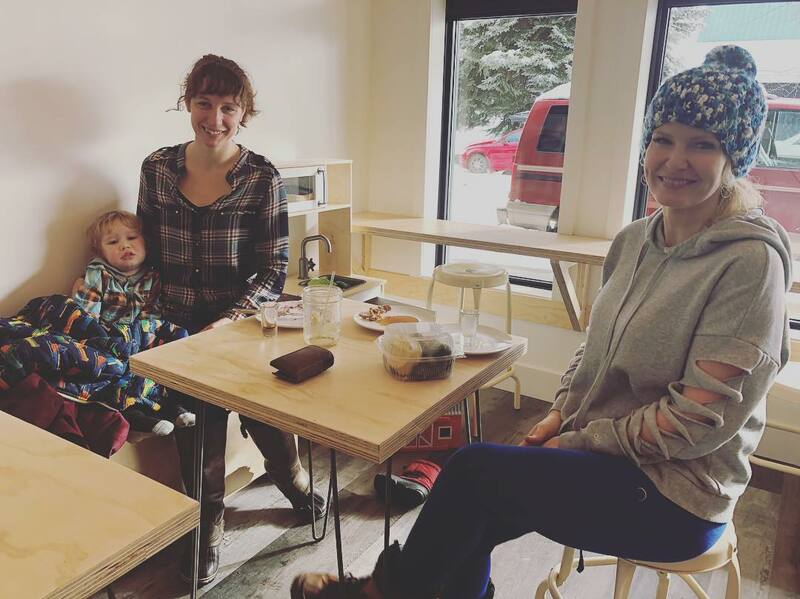 Wright, who knows the co-founders of the Green Moustache, decided to bring the foodie cafe to Revelstoke. They are located next to Revelution on Orton Avenue. Customers will likely see Karine and her staff, along with the co-founder of The Green Mustache, Pierre-Maxime Richer, who is in town to assist with training and perfecting presentation, hard at work. 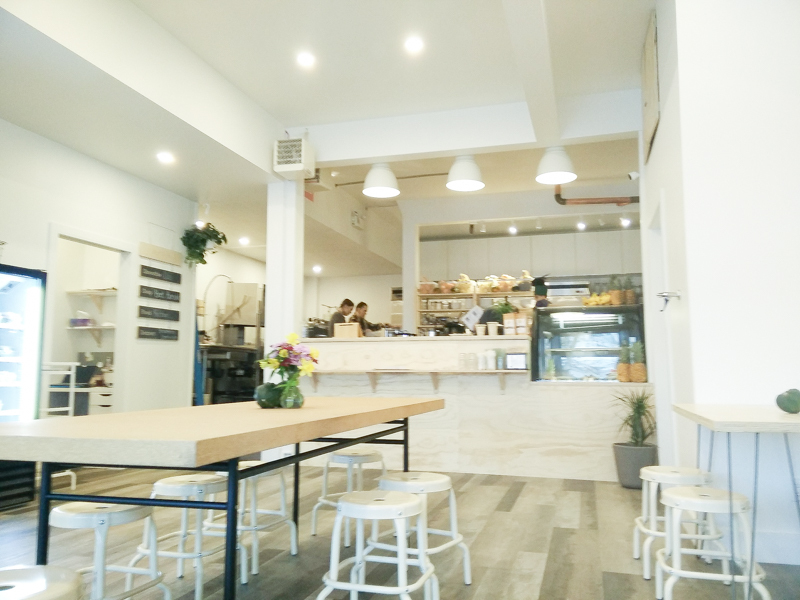 The cafe boasts large windows and a light filled interior. Low seating at a window bar is ideal for people watching, and the rest of the cafe has natural wood coloured tables, short stools and views to a large open kitchen. Local vegetarians, vegans and those with gluten and dairy dietary restrictions will be thrilled about The Green Mustache. Truthfully though, anyone who enjoys a healthy meal or snack will find something they like here. With my toddler in tow I decided to give the Green Mustache a try. I started with a health ‘shot.’ Karine recommended the ‘flu shot,’ a literal shot glass filled with a blend of apple cider vinegar, ginger, lemon and cayenne. It had a good bite, but was also pretty delicious. A friend tried the more intense ‘ginger shot,’ which caused a little eye watering! A pressed juice followed. I tried out ‘Invigorating,’ a blend of green and black kale, romaine lettuce, red cabbage, bell pepper, Swiss chard and apple. Truthfully, I was a little nervous it would taste like a blended salad, but it was delicious. My toddler drank half of it between playing at the kids’ corner, a small space outfitted with a toy kitchen and barn. Waffles followed, a dense concoction made of banana and buckwheat flour topped with caramel cashew cream, chia jam, dried figs and walnuts. It was both yummy and filling. My friend dug into the collard greens wrap, dunking the healthy raw vegan meal into a rich homemade sauce. The verdict? We’ll be back for more! 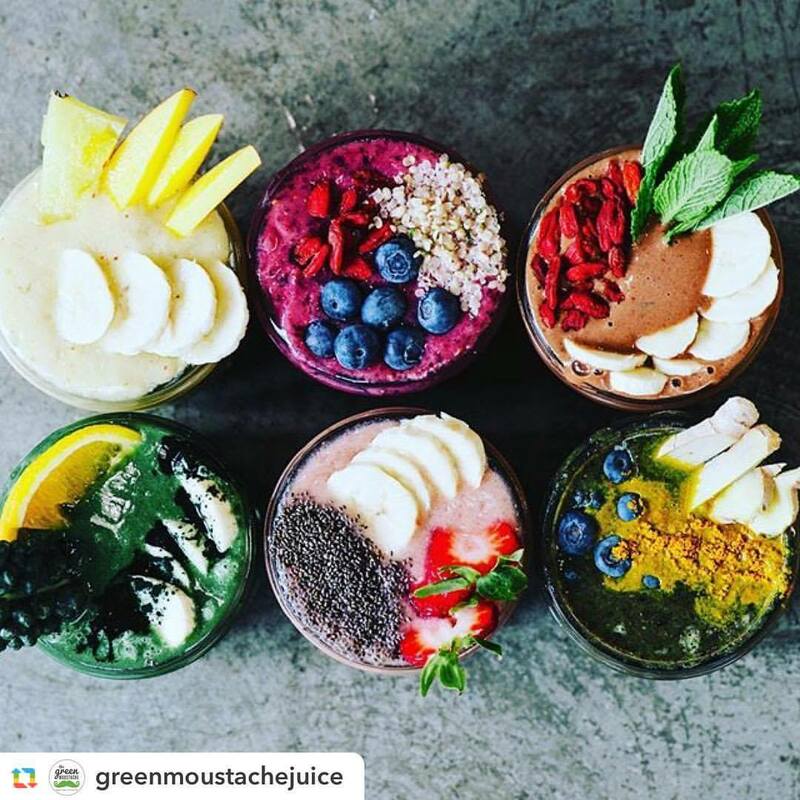 The Green Moustache Revelstoke (website) is located at 113 Second Street East, but actually faces Orton Avenue between Second Street and Third Street, in between Revelution Fitness & Yoga and Everything Revelstoke. When Imogen Whale isn’t moonlighting as a journalist and writer based in Revelstoke, she’s out playing with her family or horses. She’s happily tripping the light fantastic.